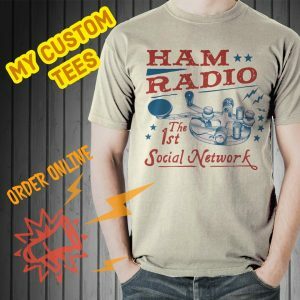 New Ham Radio Deluxe and WSJT-X Video! This is a refresher with the latest software. In the video below Ham Radio Deluxe v6.5 and WSJT-X v2.0. There are a few differences from my older videos that are noticeable. See setting receive level and a small glitch in WSJT-X. Also, QSO forwarding in HRD Logbook. One of the most noticeable differences with Ham Radio Deluxe is the ability to forward QSO’s from WSJT-X to the HRD Logbook. I have an article on this: HRD Logbook and WSJT-X Integration. QSO forwarding is in the video below. There is also a possible glitch with setting the mode using Ham Radio Deluxe as the rig in WSJT-X and my solution to that in the video. WSJT-X 2.0 is what prompted me to do a new video. WSJT-X looks different now. 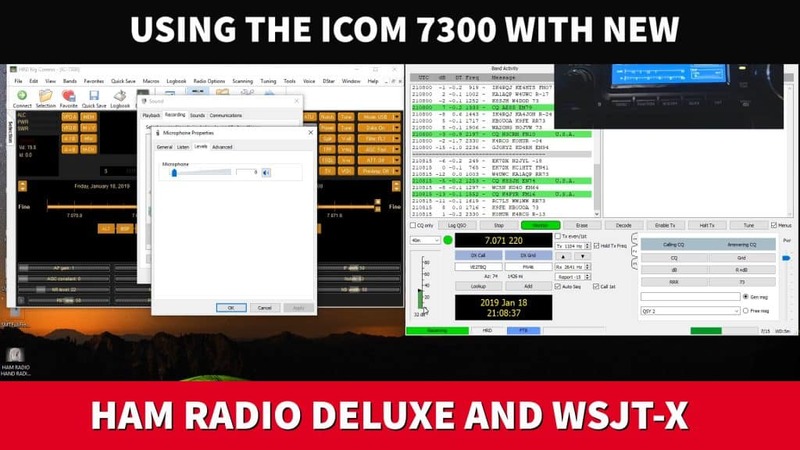 For one, the WSJT-X main window does not include a receive level slider. It’s been gone a while. The receive level is set using either Windows sound properties or ACC/USB AF Output Level in the Icom 7300. This is shown in the video. The new WSJT-x v2.0 also has a minor glitch with the logging window and retaining the power or comment fields. This is in the video and not a big problem. It will be fixed. As always, timing is crucial with FT8 and other modes in WSJT-X. I have been using NetTime and it works very well. The Icom 7300 has been updated over the years so in the video I’ll go over my internal settings. The related settings can also be found on my screen captures page, K0PIR Screen Captures. I apologize, I tried to cover too much in this video, so please comment or ask your questions below. I’l be happy to clarify. NOTE: I was using JT Alert just for demonstration. To continue to use it I would need to enable logging in it (to HRD Logbook) and disable QSO Forwarding in HRD Logbook, otherwise the alerts will not be accurate. I prefer the comment section here or in YouTube over e-mail because your questions will undoubtedly help others here as well. Nice to hear from you and thanks for commenting here. Does the audio come out of the computer speaker? What kind of computer is this on? Is it a Mac? What operating system is it? If it’s a Windows computer I would try shutting everything down, reseat the USB cable and power it on again. Only open what’s necessary and no other programs. Just HRD and HRD Logbook. Did the Icom driver get installed before attaching the USB cable? Is it possible there is another USB audio CODEC that is not Icoms? I have been trying to help a friend get there new IC-7300 up and running with HRD new ver., and WSJT-X new ver. Have it receiving just fine. But when put into TX or TUNE mode the radio keys up but no output, the audio comes out the speaker. The mic and speaker are set to the audio codec. Also get ERROR MSG: Error in sound output. And error opening the audio output device has occurred. I probably put it in a video, but it’s easy to explain here. Just open WSJT-X with one of the radios connected and working. Go to Configuration, right click and name the configuration. Right click again and select clone. That will make a copy. Go to the copy, rename it to the second radio then select switch to. Power off the radio and turn on your second radio. It will prompt you to configure it properly. Once that is done you can switch between configurations. I hope this makes sense. I use it and should do a short clip on it. Thanks for the idea. Here is a file I found, it is similar to what you want. Rich, you are the best! Waiting for your future posts. You are truly the ELMER for all of us. Thank you so much, you’re very kind George. I have a short video on the configurations uploading now on YouTube. It should be done shortly. Do you have anything on using two radios with WSJT? My 7300 works great with it so I would so use my Yeasu FT990 via my Rigblaster Advantage.I plan to use only one radio at a time but can’t figure how to save two configurations, like HRD allows you to choose at startup. Thank you got any help! Thank you Sir. I will look for and view it this afternoon. Yes, I used Ham Radio Deluxe as the rig in WSJT-X. See about 11:10 in the video. Or you can use two cables. I sometimes use the USB cable for HRD and the CI-V for WSJT-X. Works perfect, probably better. Thank you for all the hard work that you put into generating your excellent and informative videos! Using the same software as you and an updated Windows 10 computer. Everything seems ok except that I am not generating any output power from my IC-7300. If I switch the mode to AM I can see the output power on the screen. Any suggestions please? In WSJT-X see if your Audio and soundcard is set properly. It should be the USB AUDIO CODEC. The radio should be in USB-D mode. With the MONITOR turned on the radio you should be able to hear your signal output. You couls have a look at this post and video : Setting Digital Output. See if the soundcard in WSJT-X setting is the problem. You were right on point. I disabled QSO Forwarding in HRD Logbook and JTAlert sends the QSO to HRD Logbook. I Like JTAlert for the info that it provides prior to initiating the contact. Thank you and I appreciate the input. Glad it’s working for you. Same here on JT Alert. I’ll show that next time on a JT Alert video. Thanks again, hope to hear you on. Hi Rich, Thanks for the updated setup video. The setup works great on my IC-7300 and wsjt-x. However, once I bring in JTAlert I get duplicate logs and HRD Logbook does a minidump and closes. I was set up for ACLogs on JTAlert and I switched to HRD in the logging setup. I am sure that I have something pointed wrong but I can’t find it. Nice to hear from you and thanks for commenting on the website. Could you have QSO forwarding and JT Alert doing the logging? If so, disable one of them. I was using HRD Logbook QSO forwarding, but I am going to change to JT Alert doing the logging. See if that does it. Thanks for commenting and pointing that out, that’s key. The ports must be the same in HRD Logbook and in WSJT-X. It looks like you are using the UDP Server port instead of N1MM Server port number. Very interesting! Thanks John, have a great evening, best wishes and 73! “Set Rx & Tx Offset”. Hi Eivind! Thanks for the tip. That sounds great and I’ll try that. Nice to hear from you and thanks for the comment. I am using a BM800 and Yamaha CM500. I adjusted the Drive Gain as they say in the full manual on page 9. I used the CW key down method if I am not mistaken. My Drive Gain is 46%. My mic gain is 35%. Thanks again John have a great day!